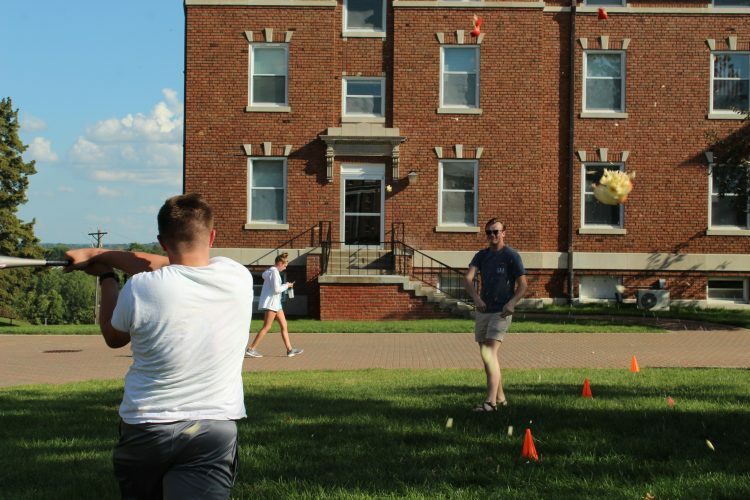 Lambda Chi Alpha fraternity (LCA) hosted a Watermelon Bust on the First-Year Triangle Sept. 14 at 4:00 p.m. As first-years headed back to the dorms after class Friday, LCA provided truckloads of watermelons for participants to bust in various ways. “It’s a good throwback to [LCA] tradition. We tried pumpkins, but this is just better, it’s tradition,” said Zak Carroll, senior Oxbridge: Institutions and Policy and international relations major and LCA member, of the event. In addition to smashing watermelons, LCA offered the opportunity to hit apples with baseball bats, play football and play volleyball. 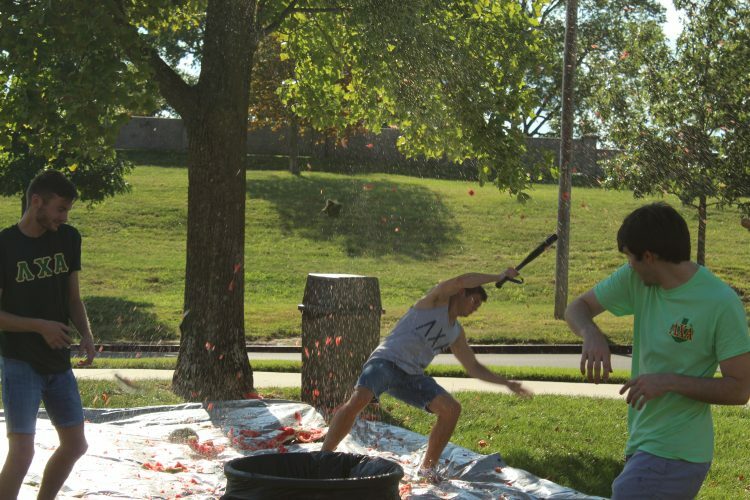 The non-smashing activities were popular, but the iconic watermelon busts were the highlights. Senior business administration and ACT-In major and LCA member Sutton Porth pitches an apple to senior biochemistry major and LCA member Chris Seward. 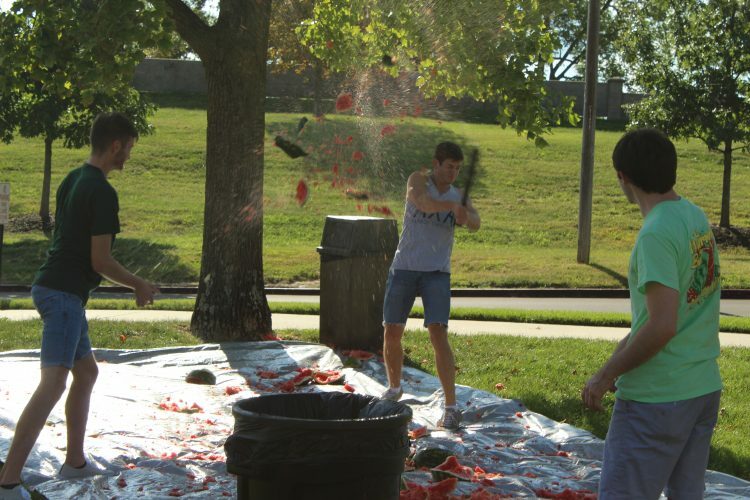 “We’re running out of melons because brothers just don’t know how to stop,” said Ian McBride, junior biochemistry, political science and Applied Critical Thought and Inquiry major, only an hour into the event as destroying the watermelons was already such a hit. 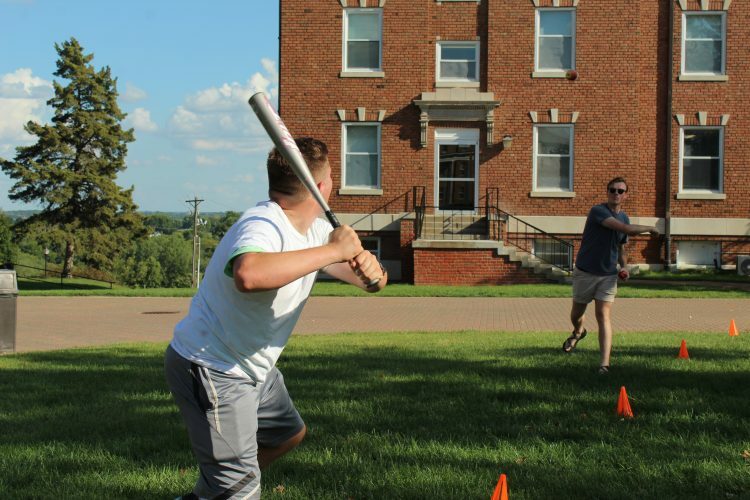 Senior nursing major and LCA member Nicholas Bromley busts a watermelon with a baseball bat. Senior nursing major and LCA member Nicholas Bromley is propelled backward by the sheer force of the bust. Despite a one week weather-based delay, the event was a smashing success. Watermelon Bust was originally planned for Friday Sept. 7, but persistent rain led the organizers of the event to postpone it one week. Due to the delay, LCA extended the donation portion of the event. For the two weeks before the event, LCA set up a table in the Yates-Gill Union and accepted both monetary and non-perishable food donations. Donations will be sent to Harvesters community food network, a subsidiary of the philanthropy with which LCA affiliates, Feeding America. The donation drive kept track of which on-campus organizations donated the most and will donate a portion of the money raised to a charity of the winning organization’s choice. Zeta Tau Alpha donated the most money at $256 and Alpha Delta Pi donated the second most at over $200. Contributions from the two-week drive totaled over $1000 and netted over $550. Harvesters accepts donations year-round for people in need. Their most needed items are listed here.